The information you've provided so far gives us a good starting point for planning your Spark Day. If there's anything else you'd like us to know, include it below. Thank you! This information will give us an idea of what you're looking for. We'll be in touch shortly to discuss further! Our One-Day Builds excite students and teachers about the power of making by bringing tools, technologies, and talent directly into your classroom. 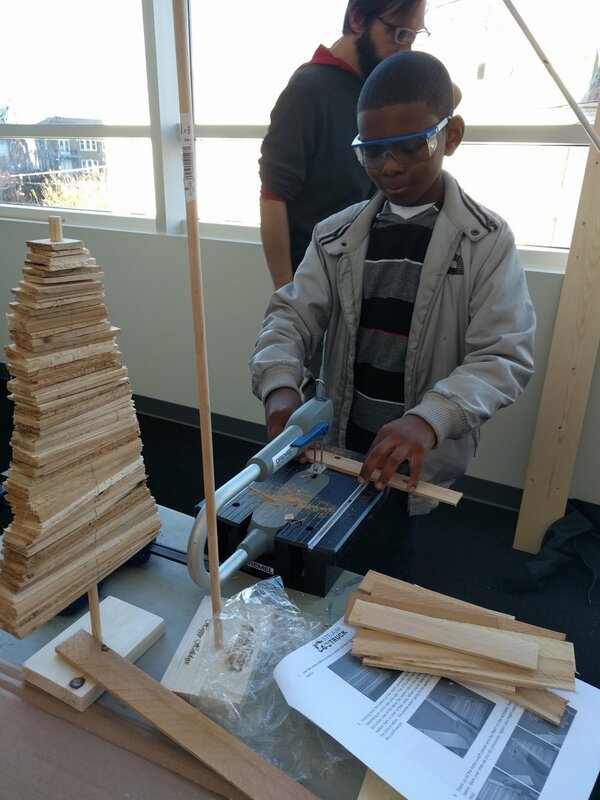 In as little as an hour, each student uses tools to build something that he or she can take home. Serves 20 youth per hour. A One-Day Build is a perfect way to bring an exciting hands-on activity to your classroom. Below are samples of some of our exciting builds, please contact us to discuss how STE(A)M Truck can facilitate your build ideas with students! Students learn the Japanese art of paper folding and the basics of circuity as they create a folded paper version of our STE(A)M Truck with LED headlights. Using salvaged components, students learn the basics of circuitry as they build a vibrating drawing machine to create art masterpieces. Celebrate the arrival of spring by building a moving wooden tree sculpture. Students use basic hand and power tools and apply knowledge of measurement to create a work of art. Discover basic hand and power tools and apply knowledge of measurement and materials to create a journal for all of your future maker projects! Bring out your inner hero and create your own superhero mask using found materials. Explore uncharted territory by building a stomp rocket. Learn about aviation construction. A One-Day Build includes up to three hours of hands-on programming or serving up to three classes. If desired, we can serve more classes and more students per day. Each additional hour/class of programming costs $175. Costs will also be higher if there is a need to offer different Builds per class. Additional staff and materials fee may apply for larger classes. Note: One Day Builds differ from a Spark Day in that we typically only bring our pick up truck to carry supplies needed and we do our Build inside the classroom. 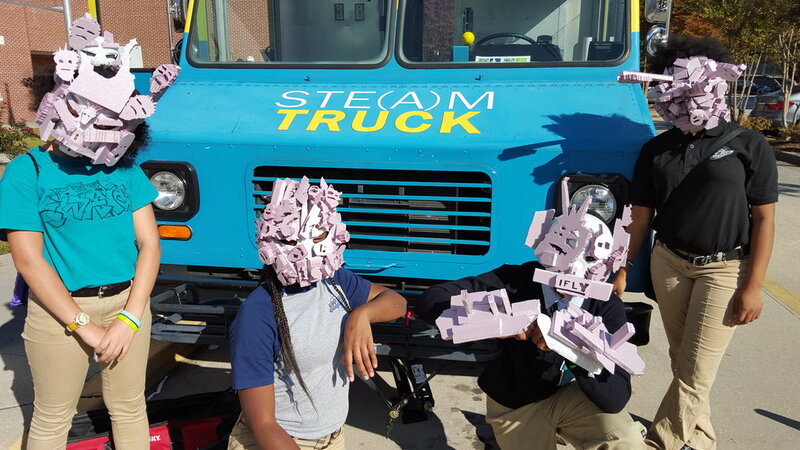 If you want us to set up a Makers Village and have have access to our STE(A)M Truck vehicles and larger tools, a Spark Day is the better option. Fee includes travel up to 15 miles/30 mins from Decatur, GA. Additional mileage and driver costs apply for travel outside this radius.